I started blogging about a year and a half ago but it got forgotten in the rush of school. I picked it up and seriously started blogging about 6 months ago. I do mostly young adult with romance being a must. I've recently started getting into the New Adult book too. I adore the books by Devri Walls but Pushing the Limits and Anna and the French Kiss are amazing books also. I've gotten to talk to authors!! How awesome is that? I've found people like me who can't live without books. This is my world. I love it. *FYI...I probably won't comment this weekend. I'm currently in Missoula getting ready to take the MPRE (the legal ethics test) on Saturday - the last step I need to get my license in Montana. And I need to study a bit. Boy, I don't know. I can't necessarily nail it down to the last month, but here's something that I've gradually learned over the last year or so. Once you've been blogging for a certain period of time - 2 years seems to be a critical point - you will get tired. That doesn't mean you want to stop blogging or that you don't enjoy it, but it becomes a little bit more like a job after the newness wears off. I've been blogging for over 3 years now. I love it and have no intention of stopping anytime soon. But I'll admit that it does become a chore at times. And I am lazier about commenting and even about posting than I used to be. What I've learned (or rather what I've taught myself) is to endure. My goal is to keep blogging and doing quality work, but also being a little more flexible with myself. A few days will go by where I don't blog or I don't comment. That's how I keep myself from getting too slogged down and wanting to quit. Book Selfie! Snap a picture of you and your current read. Yay! Are you suffering from blogging burn out? Take a 2 week long hiatus from blogging and see if that works. :D I'm not in the position to give advice though since I'm still blogging for around 4-5 months. :D But based from other blogs, they usually take hiatuses. I haven't reached the 2 year mark yet so blogging is still kind of new and shiny to me. Great advice!!! As a new blogger I was so scared to have something up everyday. I was feeling overwhelmed,and now I am slowly coming to terms with the fact I don't need a post every day. New to the Hop! Heyyyyy!!!! Great advice - I'm a new blogger and I've been pretty persistent, but when school starts back up for the semester I know I'm going to have to slow down a bit, or it will end up feeling like work right a way. Good luck on your test, Alison, I'm sure you'll do very well! It happens though Alison! I went flat out in my first year, accepting everything, signing up for all tours etc, and was getting sick of it. I slowed down lately, and now I am really enjoying it!! Good luck on the test!! 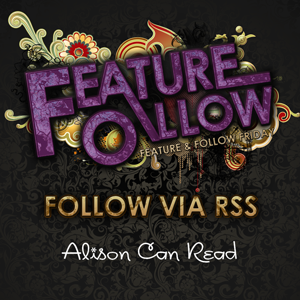 Hey Allison, I'm a new follower on GFC (Jeannius). I must say I absolutely love your blog layout! Cherry blossoms are my favourite hehe. I know what you mean about blogging becoming a full time job. Glad you focus on quality over quantity, and still manage to find the fun out of it! Happy Blogging. I seem to hit a slump every 6 months. My next one looks to be in November, which is coincidentally when Nano starts. I'm trying to have most of the month pre-scheduled and just focus on other things instead of blogging. So, when I come back to the blog, I'll won't have technically taken any time off and I will feel refreshed. Well, except for the fact that I plan plowing through my 3rd year of Nano. Sigh. I hope all goes well with the exam. I've just finished a 3000 word essay on functional grammar so I know your pain. Great feature & topic this week. I agree. I hope I'm still blogging in a little over a year, which would be my 2 year blogiversary. I am concerned that some major life changes that I have coming up will not only derail my blogging time, but also my reading time. I will follow your example though, and just give myself some flexibility. Hey Alison, Happy Friday! I'm so happy that the weekend has arrived. Recently, because of attack on bloggers (due to plagiarism) I put up some new disclaimer on my blog. I never really had to do that before. But just incase I added them. I can't be responsible for a book that I received that I unknowing didn't know that it was plagiarized. If I accepted the book from author/publisher, I'm trusting them that it is their work. It's my first time on a Blog Hob and I'm sure I will discover a lot great blogs while visiting your pages. I can't wait to start this week's question!